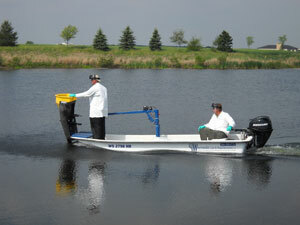 Algaecides and herbicides have proven to be a very effective Integrated Management tool. Many aquatic plants and certain algae species can only be managed with pesticides. However, over-use of pesticides can cause adverse affects. Our trained consultants understand the environmental impacts associated with over-using pesticides and will always look at using alternative tools to manage nuisance aquatic growth when possible. 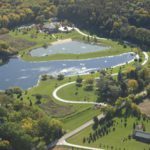 Wisconsin Lake & Pond Resource, LLC provides professional applications for all products we sell, including, Water Quality Enzymes, Water Clarity Bacteria, and Nutrient Reduction Agents. 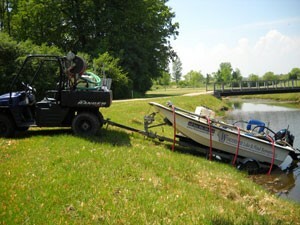 When pesticides are required to manage aquatic plants and algae, precision application is critical to avoid damage to non-target species and drift outside the treatment area. 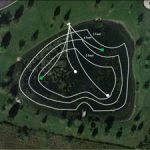 Wisconsin Lake & Pond Resource LLC utilizes state of the art equipment equipped with GPS guidance systems and flow control meters. Our commercial applicators are trained, licensed, and insured. 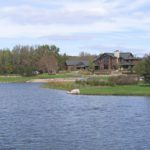 Most states require Aquatic Plant Management permits issued through the State agencies or a current Type I or Type II fish farm license issued through the Department of Agriculture for all pesticide applications. Contact WLPR for assistance in obtaining the proper license or permit for your application. Greg did a great job. Was great to work with. I think you should give him at least a 15% Raise! !